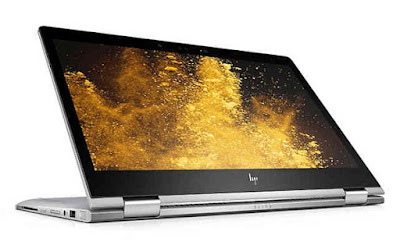 HP EliteBook x360, the world's thinnest business convertible,combines HP Spectre's powerful thin and light design, HP EliteBook Folio's collaboration capabilities and HP Elite enterprise security and durability. It features the world's longest battery life in a convertible with up to 16 hours and 30 minutes. Its integrated collaboration capabilities enhance productivity and bring new life to meetings with dedicated conferencing keys, powerful audio, an optional 13.3" diagonal 4K UHD display with Windows Hello, and pen support. As part of the HP Elite family, the world's most secure and manageable PCs, the business convertible includes latest innovations such as HP Sure Start Gen3, the world's only self-healing BIOS now with run-time memory (SMM) protection. It also protects the office of the future with HP WorkWise, the most advanced Smartphone App for PC Management and first to offer Tamper Protection. 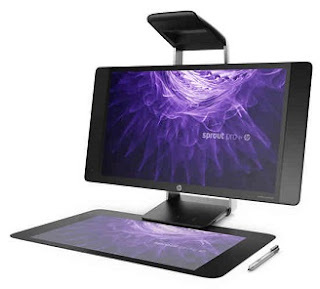 To better meet the needs of commercial customers, HP is introducing the new Sprout Pro by HP, the second generation immersive all-in-one PC. 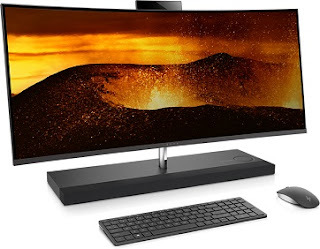 It incorporates a grounds-up redesign with a 2.2mm thick, 20-point capacitive Touch Mat display with a sharper, near 1080p projected resolution. The advanced technologies and new features empower users in education, retail kiosk and manufacturing to create highly visual content and interactive experiences by blending the physical and digital worlds. This generation makes it easier to interact with Windows 10 Pro and streamlined software gives easy access to Sprout's key features including faster 2D scanning and, for the first time, high-precision 3D scanning. Included is an Active Pen, allowing pressure-sensitive digital inking for annotation and design. It also now features an Intel Core i7 processor, 1TB of SSHD storage, up to 16GB of RAM, NVIDIA GeForce GTX 960M graphics for faster 3D scanning. + The HP EliteBook x360 is expected to be available at the end of January 2017. + The HP ENVY Curved All-In-One 34 is expected to be available on HP.com on January 11, 2017 and select retailers on February 26, 2017 starting at $1,729.99. + The Sprout Pro by HP pricing and availability for commercial consumers is expected in March 2017 in select countries.